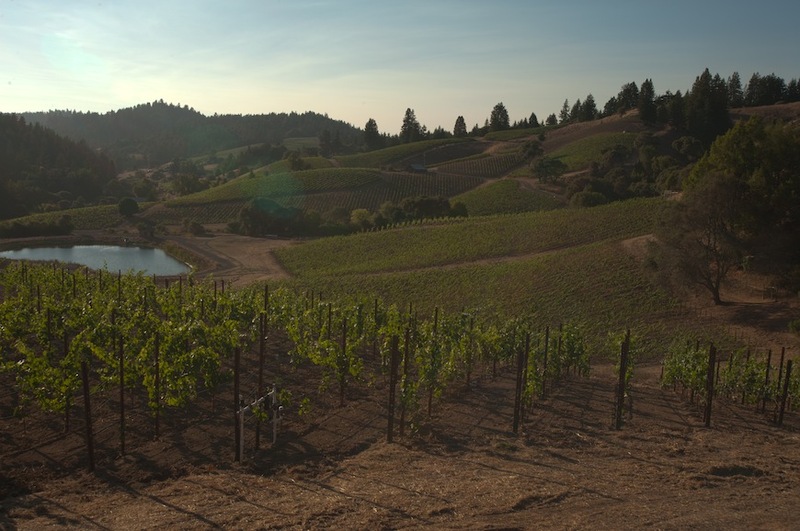 Welcome to the Spring 2016 newsletter from Rhys Vineyards! 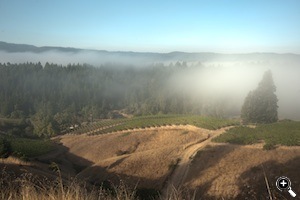 The fog rolling in at the Bearwallow Vineyard. By now many of you have probably heard of (or even tasted!) the exceptional quality of the 2013 vintage in California. After following the wines for almost a year in bottle, we now feel confident that 2013 produced some of our best wines to date. 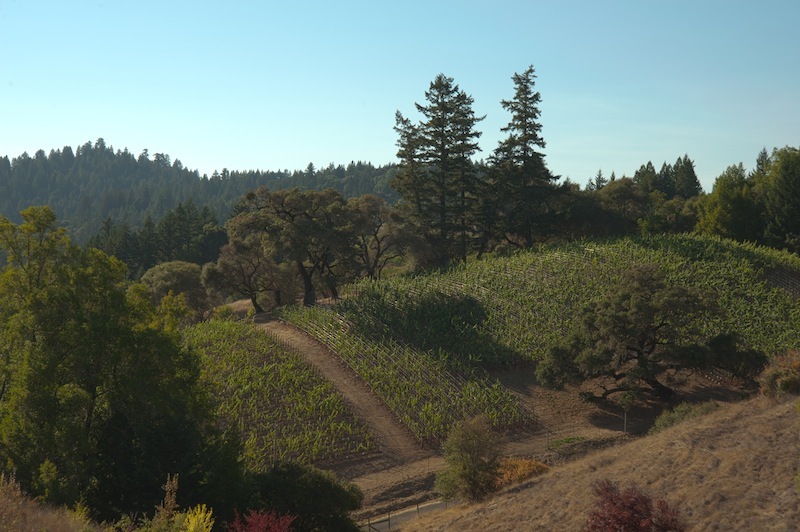 The 2013 vintage was the first of a trio of warm, early and dry vintages in California. A prolonged weather pattern featuring pronounced high pressure over the Pacific Northwest lead to serious drought and unprecedented winter warmth in our state. This early warmth caused our grapevines to wake up ahead of schedule and produced the earliest harvests on record. While these conditions might not fit our expected criteria for an ideal vintage, the results have been extraordinarily positive. While a warm, early year could often mean that grapes are ripening in high heat, this weather pattern moderated in mid-summer giving us nearly ideal, mild ripening weather. Looking back over our the last 15 vintages, it is becoming clear that as long as we avoid high harvest temperatures, the warm, dry years can produce some of our best wines. So how about the 2013 wines? To generalize they are gorgeous, attractive wines with terrific harmony and surprising freshness. The fruit character leans toward red fruit with ripe tannins and great balance. Many of the wines, including the Bearwallow and Porcupine Hill bottlings, have never shut down or tightened. We expect they will always drink well and reward cellaring without requiring it. On the heels of the terrific 2012, this beautiful 2013 Chardonnay offers a crystalline, crunchy expression of this fantastic vineyard site. It is taut and spicy with a jasmine, mineral and cinnamon stick nuance. It will drink well early and improve for many years. With terrific yields in 2013, we took the unusual step of declassifying a sizeable portion of the Horseshoe and Alpine Pinot Noir production. The result is a gorgeous, silky and elegant Pinot Noir loaded with mountain mineral and spice. Don’t miss this exceptional value! This is the first Bearwallow to include our new plantings of low-vigor, heritage selections of Pinot Noir and we feel it is the best Bearwallow yet. The supple red-fruited entry finishes with Bearwallow’s trademark pronounced spice. It is absolutely delicious now and we fully expect it to always drink well. This is a new and exciting low production bottling from the super high-density vines at Bearwallow Vineyard. From the intensely floral nose through the explosive red-fruited mid-palate to the spicy and detailed finish, we feel this is the ultimate expression of this prized Anderson Valley vineyard. This is another outstanding vintage of exotic and complex Pinot Noir from our high altitude Skyline Vineyard. With its gorgeous aromatics, silky texture and array of Asian spices, this wine has everything we hope for in great and distinctive Pinot Noir. Looking west from the eastern edge. The new plantings take advantage of the multiple exposures on the hillsides​. Since purchasing the vineyard in 2008, Bearwallow Vineyard has been our largest vineyard development project. In addition to the existing 6 acres, over 25 acres of new vines were added making this Rhys’ largest estate vineyard. The new plantings are comprised of low-vigor rootstocks and heritage or suitcase selections of Pinot Noir typically planted as a massale, or mixture of different vines. We believe that the fruit from vines planted in this manner will exhibit a more complex array of site derived characteristics when compared to the monochromatic, single clone plantings that are more common in California. 2013 marked the first vintage that these vines were productive and the results added new dimension to the already terrific quality of this site. In addition to Pinot Noir, we have also been developing 8 acres of Chardonnay at Bearwallow. These vines were productive in 2014 and we will be offering a 2014 Bearwallow Chardonnay as well as an estate grown 2014 Anderson Valley Chardonnay in the future. Dense plantings on Porcupine Hill. While surveying the site for planting, it became clear that one of the hills offered a unique combination of shallow soil and ideal eastern and southerly expositions. We decided to plant this hill in a very high-density (and expensive!) layout of 3 feet between rows with just 2 feet between vines. This configuration has proven quite successful in the similarly rocky soils of Rhys’ Skyline vineyard. Once planted, the thousands of stakes required for the 7000 vines per acre planting reminded us of the quills on the back of a Porcupine and the name was born. This block has proven to grow quite differently with lower water requirements and more natural vine balance. The resulting wine illustrates these different conditions and we hope you enjoy this unique expression of the Bearwallow/Wolfey soil complex at its best. In preparation for this release, we thought it might be a good time to open a vertical of Bearwallow Pinot Noir beginning with 2008, our first vintage at the site. We were excited to see that all of the Bearwallow vintages showed excellent development in bottle. Looking across the lineup, it was clear that Bearwallow Pinot Noir tends to age slightly faster than our Santa Cruz estate Pinot Noirs. They also become approachable at a younger age and in some cases have never shut down after bottling. This means that Bearwallow tends to produce wines with a very long drinking window. We love Bearwallow Pinot Noir for this early approachability, elegance and pronounced soil driven spicy character. 2008– This wine is drinking at peak now with plenty of secondary development and darker fruit than the other bottlings. It was produced in the same year the vineyard was purchased so this is the only Bearwallow that Rhys did not farm. This farming difference shows in a slightly more edgy tannic profile but this is an excellent and mature bottle today. 2009– The 2009 surprised us with exceptional depth and intense, spicy red fruit. While it has always been approachable, and, in fact, has never shut down, it is also clearly nowhere near its peak. Enjoy now and for years to come. 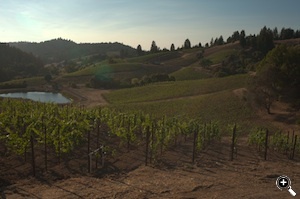 2010– Always one of our favorite vintages of Bearwallow, the 2010 is maturing into a great expression of the site. Great mid-palate density and precise red fruit married with a touch of whole cluster continue to define this wine. It drinks well now and should continue to improve for years. 2011– 2011’s cold and wet growing season was so unusual, especially compared to the warm and dry vintages that followed, that we had no way of predicting the character of the wines. As we’re slowly learning, even in difficult vintages we needn’t worry about Bearwallow. The hallmark red fruit and spicy finish are accented with the earthly quality that all of 2011s show. This is still resolving, so a few more years of cellar time are advisable, although it can be enjoyed now with at least an hour’s decant time. 2012– The 2012 vintage produced wines with an unusual combination of power and great acidity, and the Bearwallow is no exception. A slightly darker fruit profile, great concentration and bright acidity combined to make an age-worthy Bearwallow. As a result, while this is drinkable with air, we recommend several more years of cellar time to allow for resolution. 2013– The elegance of the 2013 vintage is on display here. We feel that the 2013 will always drink well, but shows considerable upside potential as well. Delicate floral and red fruit aromas combine with a supple and long finish, making this a delicious bottle now and for years to come. After exceptional production in 2013, the 2014 vintage featured good (if not terrific) yields. At the risk of stretching our credibility, we think the quality again is extremely high. 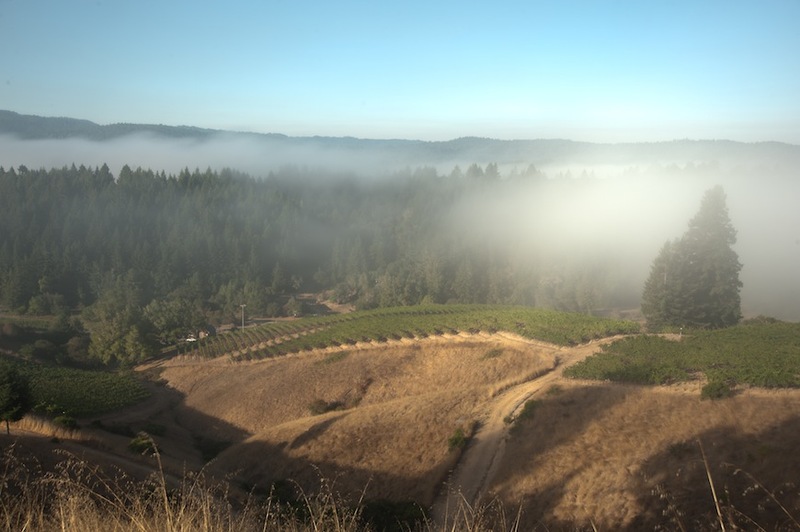 Meanwhile 2015 was an extremely low-production year in the Santa Cruz Mountains and there will definitely not be enough production to allow us to offer Futures from Alpine or Horseshoe vineyard from this vintage. Some customers have asked if it is possible to spread out our releases a bit. At the same time, we would like to be able to keep all regular-release wines at least one year in bottle before shipping. In order to accomplish this we are releasing the 2013 wines in three different offerings (versus the normal two) and this is the second of those releases. After this, the schedule of regular offerings will settle out with two per year occurring in November and May/June. This schedule will give as much time as possible between offerings as well as allow us to have orders packed and ready when the right shipping weather occurs. In vintages with enough production, Futures will be offered some time between October and bottling in March. After this release, we will offer the remaining 2013s, including Horseshoe, Family Farm and Swan Terrace Pinot Noirs in our May/June offering.